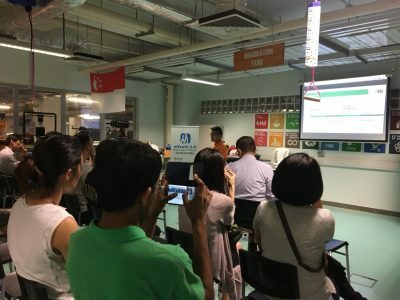 Tech for Good was an event held on 17 May 2018. The talk was held to inspire the audience about using technology to solve real-world problems. 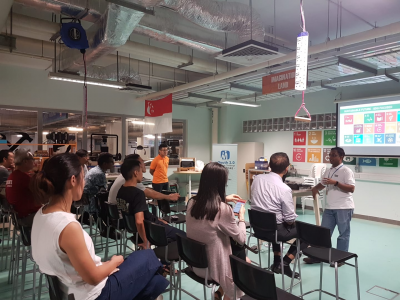 Sustainable Living Lab shared about its project on its IoT project for logistics tracking in a Thai organic rice farm as well as IoT workshops for vocational school teachers working on agriculture and aquaculture in Indonesia. 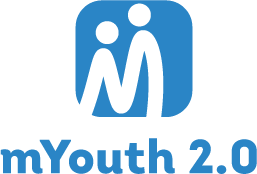 A call for ideas was also put out for people to submit their projects as entries to the mYouth Mobile Application challenge.